WHERE? 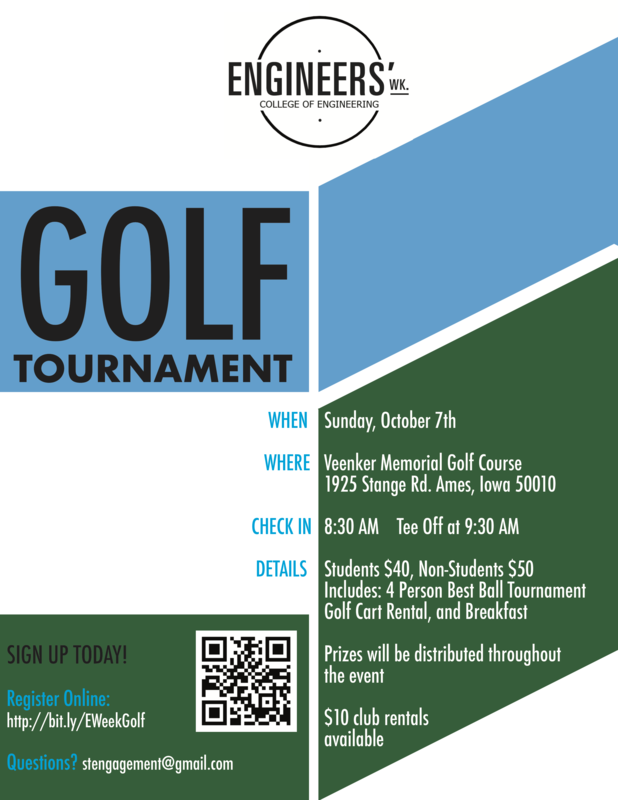 Veenker Memorial Golf Course: 1925 Stange Rd. Ames, Iowa. PRIZES: Plan to remain after the tournament. Various prizes will be given to the 1st, 2nd, and 3rd individual players and teams. Games will also be played including; longest drive, longest putt, and a par-three speed hole, with prizes for the winners. REGISTRATION COST: The cost to register is $40.00 for students with Student ID and $50.00 for all alum and others. Participants may register here as teams of four or individually. 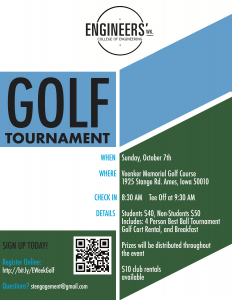 Registration includes 4-Person Best Ball Tournament, Golf Cart Rental, and Breakfast! $10 Club Rentals Available! All skill levels are welcome to play! As well as people outside the College of Engineering!